John Winthrop was the governor of the Massachusetts Bay Colony, one of the eight colonies governed by royal charter in the colonial period. Each of the thirteen colonies had a charter, or written agreement between the colony and the king of England or Parliament. Charters of royal colonies provided for direct rule by the king. A colonial legislature was elected by property holding males. But governors were appointed by the king and had almost complete authority — in theory. The legislatures controlled the salary of the governor and often used this influence to keep the governors in line with colonial wishes. The first colonial legislature was the Virginia House of Burgesses, established in 1619. The colonies along the eastern coast of North America were formed under different types of charter, but most developed representative democratic governments to rule their territories. When the first Pilgrims voyaged to the New World, a bizarre twist of fate created a spirit of self-government. These Pilgrims of the Mayflower were bound for Virginia in 1620, but they got lost and instead landed at Plymouth in present-day Massachusetts. Since Plymouth did not lie within the boundaries of the Virginia colony, the Pilgrims had no official charter to govern them. So they drafted the Mayflower Compact, which in essence declared that they would rule themselves. Although Massachusetts eventually became a royal colony, the Pilgrims at Plymouth set a powerful precedent of making their own rules that later reflected itself in the town meetings that were held across colonial New England. Colonial economies operated under mercantilism, a system based on the belief that colonies existed in order to increase the mother country's wealth. England tried to regulate trade, and forbid colonies from trading with other European countries. England also maintained the right to tax the colonies. Both trade and taxation were difficult for England to control, and so an informal agreement emerged. England regulated trade but allowed colonists the right to levy their own taxes. Smugglers soon exploited the English inability to guard every port by secretly trading against Parliament's wishes. A proprietary charter allowed the governor of the colony to rule with great power over his lands. In William Penn's Pennsylvania, that power was used to establish a land of religious tolerance. This delicate agreement was put to test by the French and Indian War. The war was expensive, and from the British point of view, colonists should help pay for it, especially considering that England believed it was protecting the colonists from French and Indian threats. The new taxes levied by the Crown nevertheless horrified the colonists. British naval measures to arrest smugglers further incited American shippers. These actions served as stepping stones to the Revolution. Religious freedom served as a major motivation for Europeans to venture to the American colonies. Puritans and Pilgrims in Massachusetts, Quakers in Pennsylvania, and Catholics in Maryland represented the growing religious diversity in the colonies. 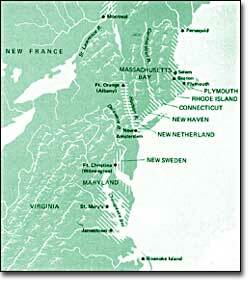 Rhode Island was founded as a colony of religious freedom in reaction to zealous Puritans. As a result, many different faiths coexisted in the colonies. This variety required an insistence on freedom of religion since the earliest days of British settlement. So the colonial experience was one of absorbing British models of government, the economy, and religion. Over the course of about 150 years, American colonists practiced these rudimentary forms of self-government that eventually led to their decision to revolt against British rule. The democratic experiment of American self-rule was therefore not a sudden change brought about by the Declaration of Independence. By 1776, Americans had plenty of practice. This proclamation, issued by the King of England in 1763, is a good example of a royal charter. This website from a Canadian lawyer also includes a brief annotation that gives the historical background to the text, and a map showing the regions in question. 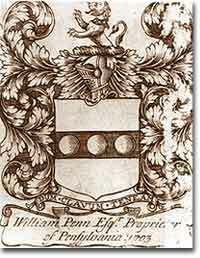 William Penn ruled all of Pennsylvania through the powers of his proprietary charter. What he set up was a model state of the kind of religious tolerance that the U.S. would come to embody. This University of Virginia website traces Penn's "visionary" proprietorship from his early days in America. Imagine being taxed to play cards or read a newspaper. After the French and Indian War, the King of England imposed new taxes such as those on the thirteen colonies. These taxes led to the cry of "taxation without representation" and ultimately the American Revolution. 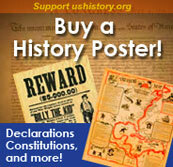 The Colonial Williamsburg Foundation serves up this summary of the 1765 Stamp Act. We giue... to our trustie and welbeloued seruant Walter Ralegh, Esquire... free libertie... to discover, search, finde out, and view such remote, heathen and barbarous lands, countries, and territories, not actually possessed of any Christian Prince, nor inhabited by Christian People. -Queen Elizabeth I. One of the earliest examples of a royal charter, this document, online at Yale University, gave Sir Walter Raleigh power over any new land he came across. The Stamp Act wasn't the only tax that colonists had to contend with. In colonial Virginia, colonists had to pay tax on just about everything, including people. Slaves, Native American servants, and widows were named as just a few of the things that a household might be taxed on. Check out this all-text table of taxes from the Library of Virginia.